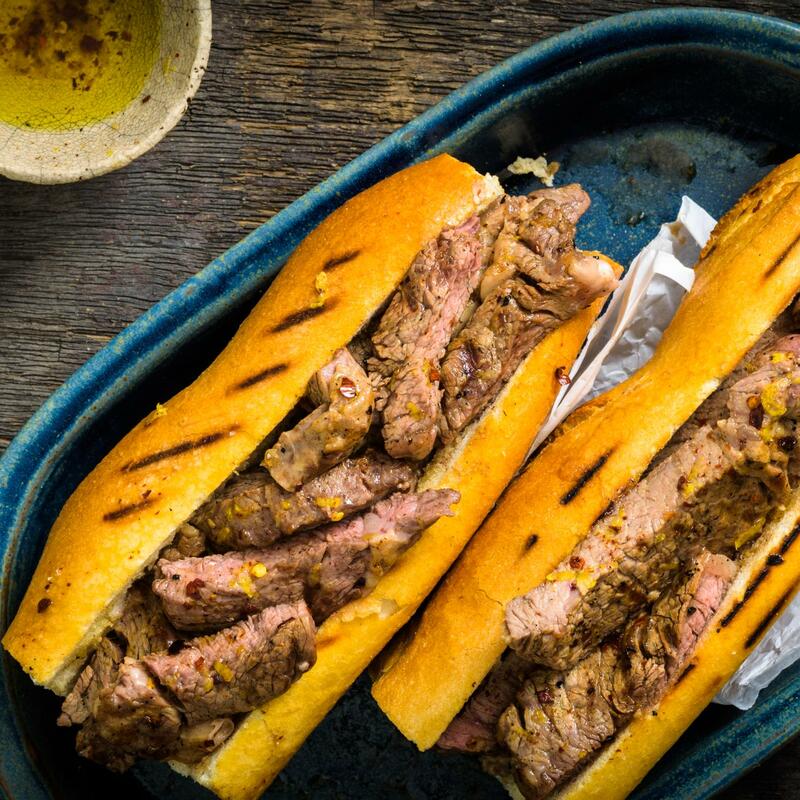 Combine the oil, lemon zest, chilli flakes and salt, brush the steaks and the cut sides of the bread with the marinade. Charcoal/gas/electric barbecue: Cover and grill the steaks over/on a medium heat (approx. 200°C) for approx. 4 mins. on each side. Grill the bread alongside for the last 4 mins., turning once. Cover the steaks and set aside, leave to rest for approx. 5 mins. Carve the steaks, fill the baguettes. Mango BBQ sauce and salad.